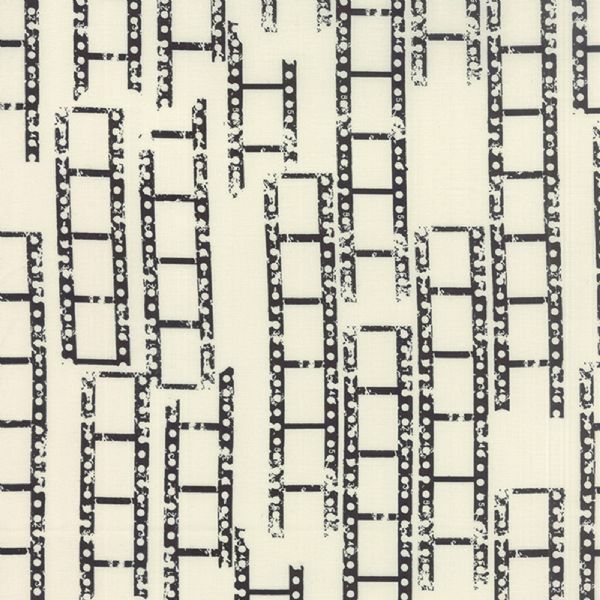 Moda - Reel Time - Film Strips (Chalk/Ink) . All our fabrics are sold by the quarter metre, if more than 1 is ordered then your fabric will be sent in one uncut length. Eg. If you need 1 metre then enter 4 in the QTY box, your fabric will be sent as 1m length not 4 x 1/4m. If a fat quarter is required please request this at checkout in the comments box, otherwise a long quarter will be sent.